Trick or treating this year was a breeze for me. The teens went out together (yes, my 11, 13 and 15-year-olds still trick or treat!) and my husband took the 9-year-old out with a group of his friends from school. I got to stay home with my mother-in-law, who was kind enough to answer the door and hand out candy while I got work done on my Chromebook. And eat candy. 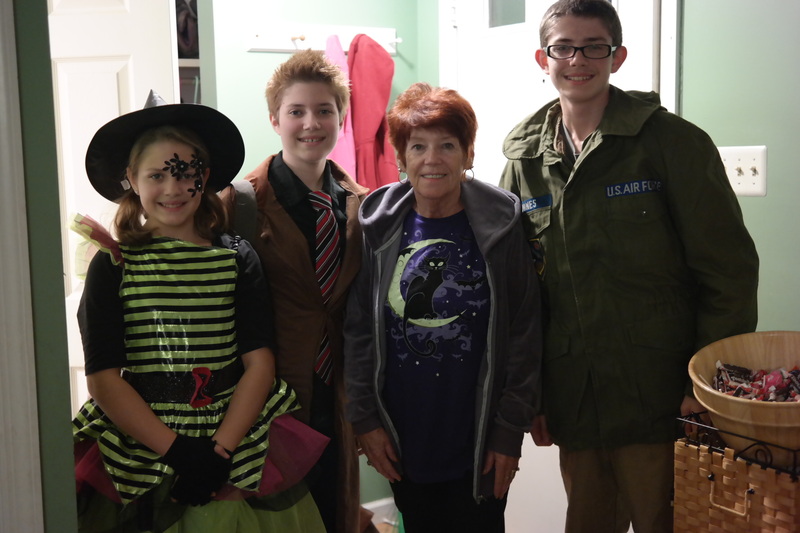 This year’s costumes: AJ – werewolf, Reese – pretty witch, Necco – Doctor Who, and Twizzler – Air Force soldier. The extra person in the photos is my wonderful Mother in law! Do you have a Wordless Wednesday post for this week? Link up below! 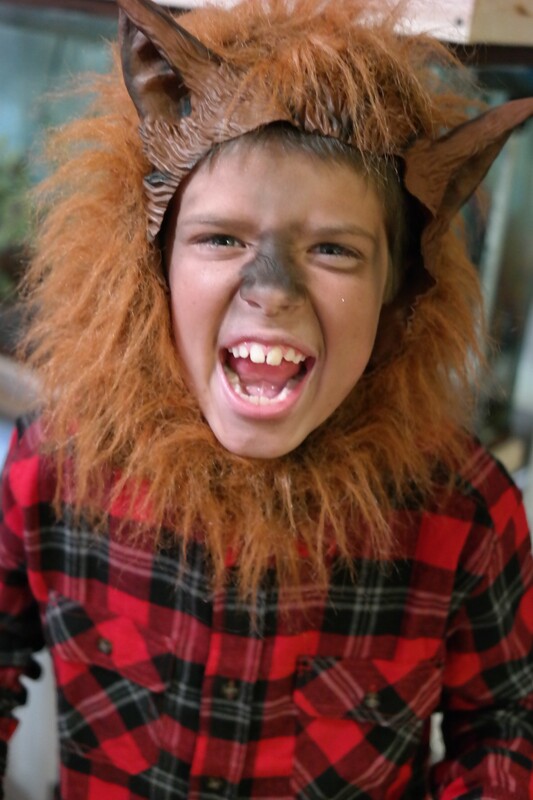 Halloween is always such a fun time for kids!!! Hes cute, love the wrinkle in his nose!! !